//We got to work with our friends at Platform LA on a motion comic-style marketing video for Square Enix’s cyberpunk game series Deus Ex. Our objective: take classic scenes from each game and tie them together with a fluid narrative to celebrate the world of Deus Ex. For a series in its mid-teens, Deus Ex is still fairly young in the game world. In that time, it has become a well-established franchise, known for its open-ended story based on choices the player makes during each game. 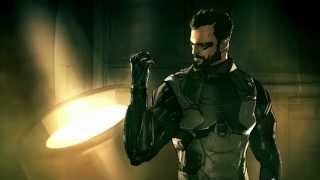 In this cinematic recap of the Deus Ex series, we got to combine our skills in motion comics and 2D animation to create the effect of an animated digital painting. We animated the scenes in both Flash and After Effects, creating a result that captures the feeling of the original games, but also adds our unique touch.